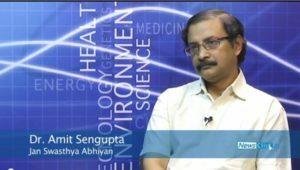 Dr. Amit Sengupta of the People’s Science and Health Movements was a fighter for a better tomorrow. He died on 28th Nov 2018 in Goa. AIPSN and the innumerable people to whom he made a difference mourn the huge loss.